In the second book of the Circus of Thieves series, the adventure continues. Devious Armitage Shank is still ‘bad to the bone’ and out for revenge after Billy and Hannah deprive him of his stolen loot. Now he has a new problem to contend with. Ernesto Espadrille, someone from Shank’s past, will return to take back what belongs to him with surprising results. Another person from his past will shake him up as well. Queenie Bombazine, trapeze artiste extraordinaire, prepares for a comeback. She is the key to Granny’s many long-held secrets which are bursting at the seams to be revealed. With Queenie’s return to the circus arena, everything changes. Strong themes of identity and belonging, family, and the bonds of friendship strengthen the story. Fast-paced and humorous, the same impressive use of language and word play is employed which was introduced in the previous book. Its terrific characters, constant twists and turns in the story, and frequent new information expands the reader’s interest. On her twelfth birthday, Hannah is told that she’s adopted. This confirms her feelings of being something other than what she is. Instead of being devastated, she’s ecstatic. This new seam sends the story off in a new direction. Astonishing facts about Hannah’s birth add a delicious tang of mystery. The identity of her father hangs on two possibilities, causing suspense to spill onto the page. Hannah’s dreams of a life of adventure now seem possible while Billy’s life takes on another dimension with the appearance of his real father. The one thing that won’t change is the absolute evil that lives inside Armitage Shank. Plans are set in place by Queenie to catch the thieving scoundrel, and get him behind bars. But he is notorious for getting himself out of sticky situations. Can he escape Queenie’s infallible plan? What are the secrets that Granny’s been hiding? Everything is still unfinished. Another exciting adventure should wind things up, so look out for the next book. 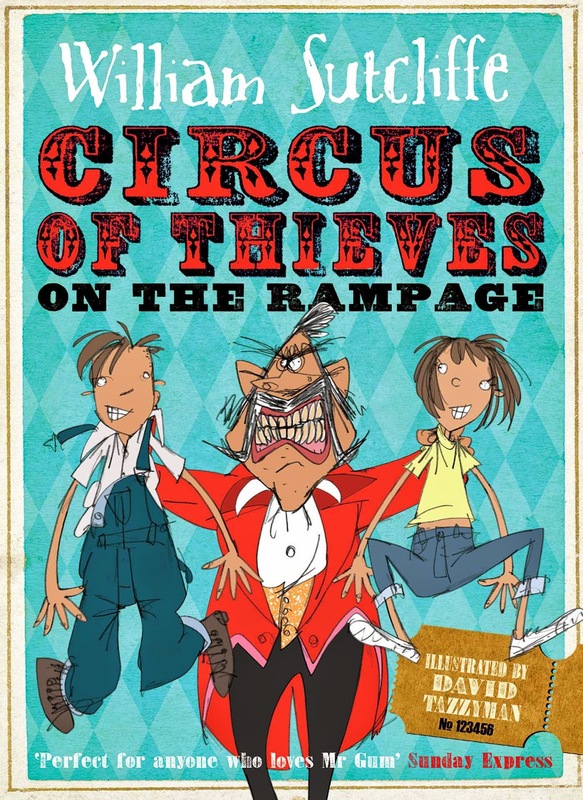 Read our review of book one in the series, Circus of Thieves and the Raffle of Doom, here.